"The Super Kings look like title winners for the second consecutive year with their army of spinners outbowling everyone"
On course for glory: Chennai captain MS Dhoni has said he is worried about the Chepauk pitch being too slow and low. It hasn't done them any harm so far. The Super Kings look like title winners for the second consecutive year with their army of spinners outbowling everyone. Their collective economy and strike rates as a unit are better than any other franchise. They have also coped well with adversity. The loss of Lungi Ngidi and David Willey for the season have been shrugged aside and they have even looked solid without Dwayne Bravo, although some might argue his death over bowling against Mumbai means he's not a huge loss. They've also been canny in not being over-reliant on Faf du Plessis, wary that he could depart and derail the opening partnership. Not that it's pulling up trees. Shane Watson is having a poor tournament and it will be interesting to see how long they persist with him. Are Mumbai beginning to motor: They now have three wins on the spin and each of them has been hugely impressive. They controlled their game against Chennai from ball one, they produced an extraordinary comeback against Sunrisers Hyderabad and then pulled off a record-breaking chase against Kings XI - no team had ever scored as many in the final ten to get up. Kieron Pollard was the architect of that success with Andre Russell-style hitting. After ponderous efforts against Kings XI and Bangalore his improvement is the personification of Mumbai's. They've also, finally, made the right call in axing Yuvraj Singh for Ishan Kishan. They still have issues to solve, though. Most importantly their top order. Rohit Sharma is underperforming and they will want more from Quinton de Kock. A strike rate of 127 isn't quick enough. Mayank Markande is also struggling to rediscover last year's spin form. It means Rahul Chahar is having to do it all on his own. They look light on spin but heavy on pace. If they redress the balance they can go close. Are Kolkata a one-man team? 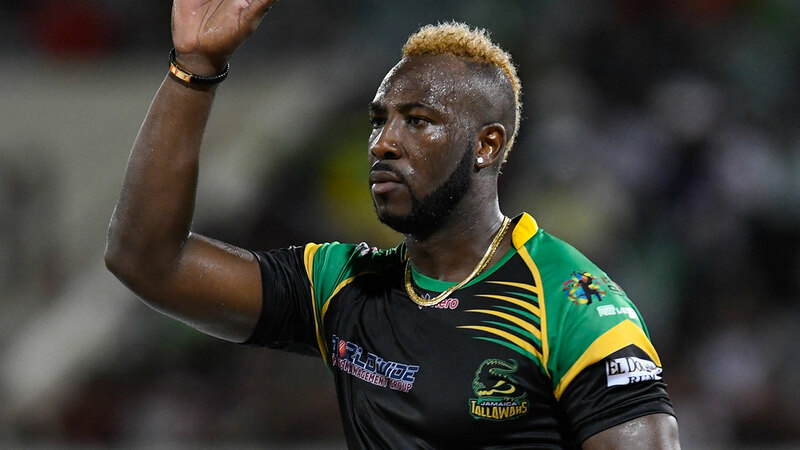 : Andre Russell, with his extraordinary blitzing, has beaten Bangalore, Kings XI and Sunrisers on his own. A strike rate of 212 has redefined T20 batting. But let's just say Russell was striking at an excellent rate, say 170, instead of this stratospheric number. KKR would not have won all of those three matches. It is unlikely Russell will be able to continue in the same vein. For a start spin will be deployed against him whenever possible. His strike rate comes down against tweak. The likes of Chris Lynn and Dinesh Karthik are going to have to improve to take the pressure off. Most importantly, Russell is scheduled to depart for West Indies World Cup preparations which start in Ireland on May 5. So he could miss the final two group and games and will certainly not be around for the play-offs. As a bowling unit they've been disappointing. Before finding form against Rajasthan they had not conceded fewer than 180. Although spinners like Sunil Narine, Kuldeep Yadav and Piyush Chawla have decent individual numbers behind them but as a unit they are performing below par in terms of economy and strike rates. Sunrisers going down: Sunrisers are struggling and confidence is beginning to ebb away. This is largely because if David Warner and Jonny Bairstow don't get them off to a flier then their batting crumbles. The defeat by Mumbai Indians, when they were chasing only 137, could well prove to be a watershed moment for their campaign. Confidence in their middle- and lower-order has never been high. But it is at rock-bottom now. Although the likes of Manish Pandey, Yusuf Pathan, Deepak Hooda and Mohammad Nabi should have enough to get them home in such situations, it's not happening. This despite Sunrisers actually getting their balance spot on, largely thanks to an injury to Kane Williamson, their captain. Last time out against Kings, their famed bowling unit didn't turn up. On what looked like a stodgy pitch in Mohali against a Kings XI team which is also overly-reliant on their opening pair going off quickly, they were never in the hunt of defending 150. At the moment they face a battle to qualify which is surprising because with scoring rates lower than expected across the the tournament they should actually be thriving. Losing their way: Delhi have disappointed. At the start of the tournament we were keen on their all-India top four, Colin Ingram's late hitting and a varied and threatening bowling unit comprising Sandeep Lamichanne's spin, Chris Morris's nous and Kagiso Rabada's pace. But then they failed to pick Lamichhane and we knew something was up. No brains. This is discussed in length here. The bottom line with Delhi is that until they show some intelligence and stop collapsing in extraordinary fashion, they're pretty much unbackable. And yet, if they can start to show composure they could make a late charge for the play-offs. One team normally does. With Sunrisers on the slide it could be a match bet between them and Kings XI. Status quo remains: Kings XI haven't moved on a great deal since last term when they were overly-reliant on the runs of KL Rahul. Rahul is again carrying the batting line-up on his shoulders. He has three consecutive scores of more than 50. That Kings have won only one of those games says a lot. His century against Mumbai on Wednesday was wasted. Their balance is not right and this harks back to poor recruitment. They are only picking five bowlers which means that if one, or more, goes around the park they have to persist. This is what happened against Mumbai when they were defending 197. Ankit Rajpoot and Sam Curran (he opened the batting in one game which says a lot about their player picking) both bowled their full quota for more than 13 apiece. A solution is to drop Chris Gayle to allow room for all-rounder Moises Henriques as another bowling option and lower-order power. Mayank Agarwal could form a potent opening partnership with Rahul. But they still need the likes of karun Nair, Sarfaraz Khan and Mandeep Singh to overperform. Royals flushed: Rajasthan have significant problems after one win in five. They absolutely had to make a fast start with their overseas players available before World Cup calls left them depleted. That hasn't happened. They now face the prospect of Jos Buttler, Steven Smith, Ben Stokes (who has been a disappointment again) and Ashton Turner leaving before the month is out. Jofra Archer and Oshane Thomas could go as well. It is difficult to see how they can be competitive once this happens with Ajinkya Rahane struggling with his captaincy and only Liam Livingstone, the unproven Englishman, in the squad to step up and fill gaps. Stuart Binny and Varun Aaron should get more game time but they are going to have to overperform to give Royals a sniff. In short, their season is done. Bungalore: Bangalore have been worse than expected. Their bowling unit, as ever, have been ill-disciplined and expensive. Twas ever thus. But what has been a surprise is how poor their batting, full of players who can hit a long ball, has been. The warning was there from game one when they were bowled out for 70 against Chennai Super Kings. How can a line-up which includes strong>Virat Kohli and AB De Villiers, two of the greats of the modern game, be bowled out for such a low score. They will be boosted by Marcus Stoinis and Nathan Coulter-Nile (when he arrives on the 13th). Still, Stoinis has been used in the wrong position so far. He needs to open the batting. It's too much of an ask to see them getting up towards the play-offs, particularly with World Cup call-ups stunting any recovery.